Picking up where the Dirt Concern left off, a group of Bozeman mountain bikers decided to organize a new group which not only builds and maintains trail but advocates for mountain bike access on public lands. Most of these folks are still on the board today. There is also a select group of people and businesses that took a chance on this brand new group and made significant founding donations to support mountain biking in Southwest Montana. 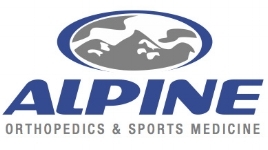 Alpine Orthopedics and Sports Medicine believes in the powerful impact that recreation can have in our lives. We are proud to support numerous local non-profit groups that help keep our community adventure-ready. They say it takes a village to raise a child, and the same can be said about building an awesome biking community. There are a lot of excellent groups and events in the Bozeman area that play key roles in making ours what it is.